From contributing to NATO missions in Afghanistan, Iraq, and Kosovo, to hosting multiple multinational military exercises that improved NATO's regional interoperability and capabilities, Lithuania has been a key contributor to NATO's deterrence and defense. 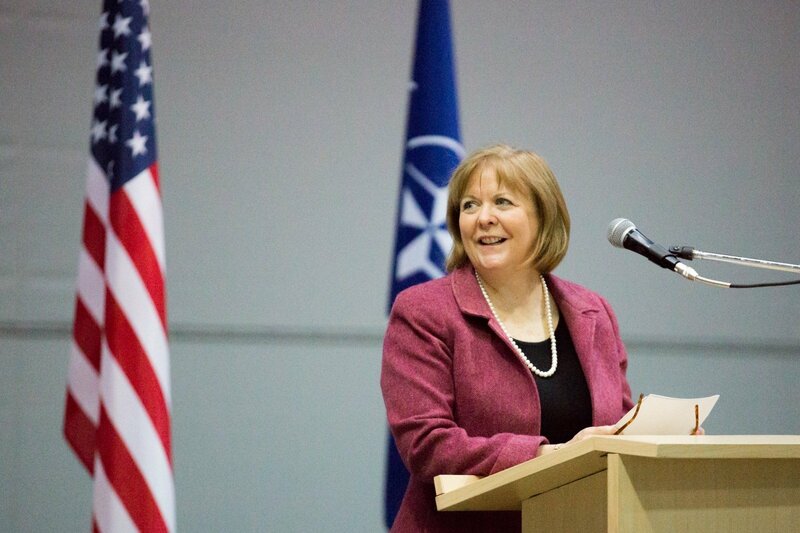 And as Lithuania has contributed to strengthening NATO, it also has benefitted from its membership in the Alliance. Since 2004, over 16 NATO countries have helped secure the skies over the Baltic countries through the Baltic Air Policing mission. NATO is helping to safeguard its eastern flank with battlegroups in Lithuania, Estonia, Latvia, and Poland as part of the Enhanced Forward Presence. And since 2014, the United States has contributed over $230 million in bilateral security assistance, which has provided equipment, training, and infrastructure improvements – all of which strengthen Lithuania, and support NATO interoperability and Lithuania's ability to host and participate in Allied security deployments. As we celebrate together Lithuania's accession to the Alliance, it is important to note that this year also marks the 70th anniversary of NATO's founding in 1949. Over the past seven decades, NATO has been the cornerstone of transatlantic security and has helped to create the most secure, stable, and prosperous period in its members' history. 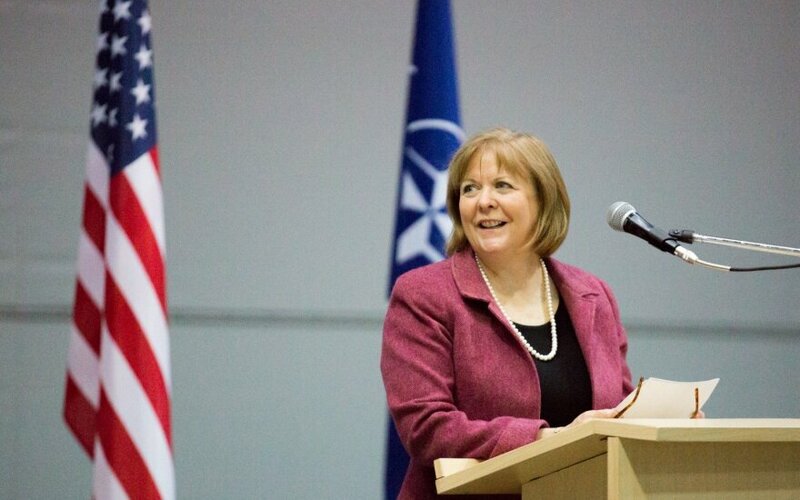 NATO's strength is in its unity and in staying true to the principles and purposes for which it was created. Our commitment to the collective defense of all NATO member states is unwavering, as is our commitment to shared values of democracy, individual liberty, human rights, and rule of law. Over the course of 70 years, NATO's door also has remained open to new members who share these values and are committed to contributing to our collective defense. During his 2002 visit to Vilnius, President George W. Bush encouraged Lithuania's NATO aspirations when he told a large crowd outside the Town Hall, "Anyone who would choose Lithuania as an enemy has also made an enemy of the United States of America." And in 2004, the United States was proud to support Lithuania's membership in the Alliance. Even as NATO's original 12 member states have grown to 29, the Alliance remains as relevant today as it was in 1949. New challenges have arisen in an increasingly competitive and uncertain geopolitical environment. For example, Russia is demonstrating aggression that once again threatens to erode the prosperity, stability, and peace we have built. As Lithuanians well know, Russia under Vladimir Putin has targeted our democratic institutions, including elections, financial institutions, and civilian infrastructure, with new forms of "hybrid warfare." Russia has invaded and continues to occupy parts of the sovereign nations of Ukraine and Georgia, and it threatens NATO cities and our citizens by fielding and deploying nuclear-capable missile battalions in violation of the Intermediate-Range Nuclear Forces (INF) Treaty. Russia remains the greatest threat to the sovereignty and independence of individual European nation-states, and to the shared values that bind the West together. In the face of these challenges, the United States remains steadfast in its commitment to our Allies. When President Trump spoke in Warsaw in 2017, he declared unequivocally, "Americans know that a strong Alliance of free, sovereign, and independent nations is the best defense for our freedoms and for our interests." That commitment is why Allies decided in 2014 to spend at least two percent of GDP on defense and to invest at least 20 percent of that spending on major equipment by 2024. Today, Lithuania is meeting the two percent threshold on defense spending, setting an example for others. The United States and Lithuania, and indeed all 29 NATO Allies, are committed to our collective defense and the preservation of our freedoms. Our commitment to Article V of the Washington Treaty remains unshakeable. Together, we must continue to invest in national defense, grow and modernize our military capabilities, and contribute to NATO's efforts to promote the safety and security of our citizens. Together, we will be stronger and better equipped to ensure NATO remains the safeguard of peace and prosperity far into the future. As the Ambassador of the United States, I know that my country is more secure with Lithuania and our other NATO partners at our side, and I am proud to call Lithuania a NATO ally and a friend.